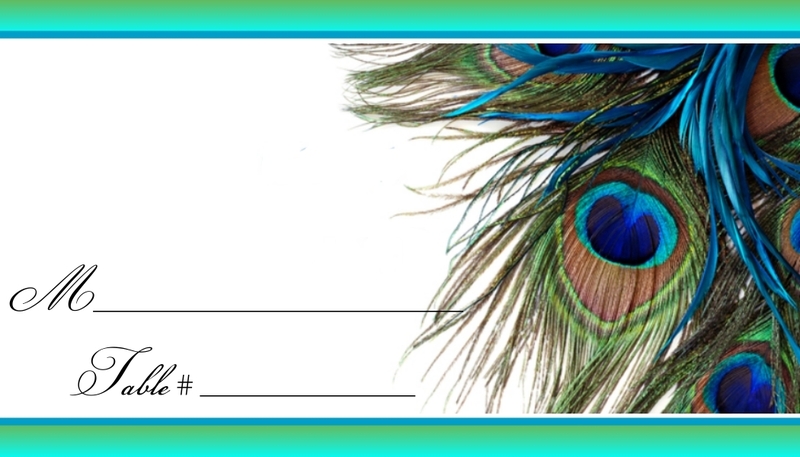 Our beautifully designed peacock place cards will lead your guests to their seats in royal style. Vibrant colors are printed on premium card stock. 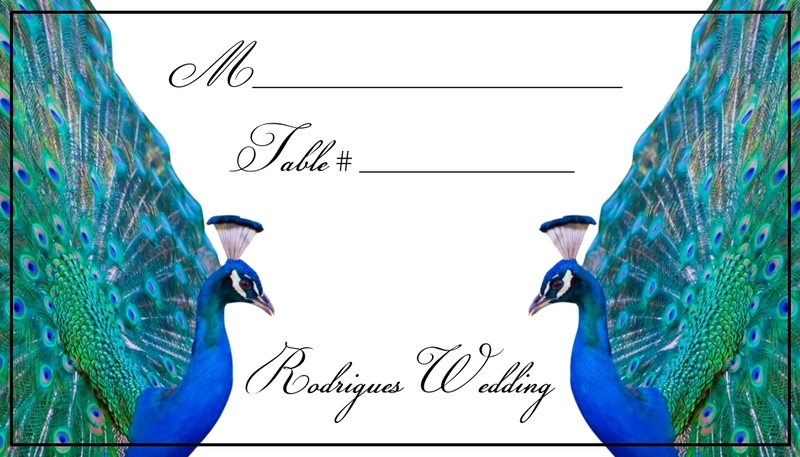 We gladly change the text and/or colors to coordinate with your peacock wedding reception! Place cards measure 3.5" wide and 2" tall. They can be ordered as flat cards (to be laid on the table) for $0.99 each or tent style for $1.25 each. Shipping is a flat rate of $3.00.